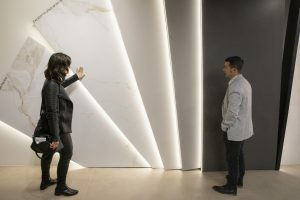 Cevisama, the international fair for ceramic tiles, bathrooms and natural Stone that has been running since Monday at Feria Valencia, is closing its doors today with exhibitors, visiting professionals and the organisers themselves feeling better about the fair than ever. According to Rubert, these figures are a major success: “firstly because the tile industry machinery sector, which draws its own set of visitors, was not part of the fair this year but also because this year’s visitor profile, which is what exhibitors are most interested in, was exceptional.” He pointed out in this regard that visitors included major distributors, buyers with purchasing and decision-making power and specifiers such as architects, interior designers and property developers specialising in large projects. The president underscored the presence of the biggest importers from the Unites States of America at the fair. The US is a growing market that is expected to become the top destination for sales of Spain’s ceramic tiles. “This was made possible by the Ministry for the Economy and IVACE in particular and as a result the leading distributors in our prime target market will have taken an extraordinary impression of Spain’s product and the country’s top fair home with them,” says Rubert. The show’s director remarked on “the huge volume of business” that, according to exhibitors themselves, has been done at this edition of the fair, with the manufacturers’ association claiming that “results were above and beyond all expectations”. For the president, the quantitative and qualitative leap in visitors was mirrored in the exhibition itself: “the Spanish products and the staging of the stands shone more brightly than ever,” she said. Lastly, Cevisama’s organisers highlighted how wonderfully well the new hall dedicated to the contract sector was received; according to Álvarez, “we have already got companies asking to book space for next year.” The high standard of the parallel events has also been remarked upon, as has the fact that “every last space in Feria Valencia’s function room was taken by people wanting to hear the Architecture Forum presentations, given by world-class speakers such as Pritzker Prize winner Jacques Herzog and France’s Dominique Perrault, amongst many others”. 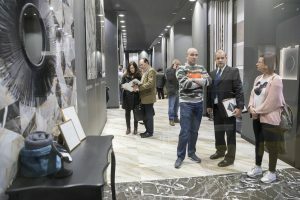 Cevisama 2019 ran concurrently with another of Feria Valencia’s exhibitions, Espacio Cocina-SICI, with which it shares synergies and routes to market. 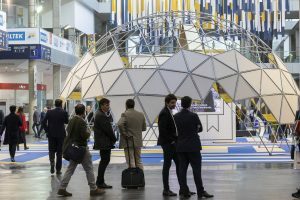 The latter fair, which is promoted jointly by both Feria Valencia and trade association AMC, delivered widespread satisfaction too along with more than 10,000 professionals visiting – a 35% uplift on the previous edition. 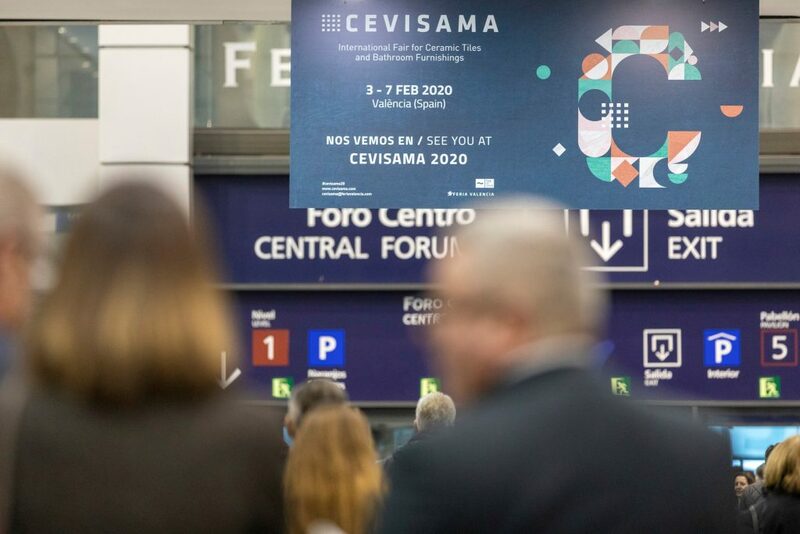 The whole Cevisama team at Feria Valencia together with the various trade associations that sit on the fair’s organising committee will be starting work imminently to prepare for the 2020 fair. The dates for next year’s event have already been set: 3rd to 7th February, at Feria Valencia.